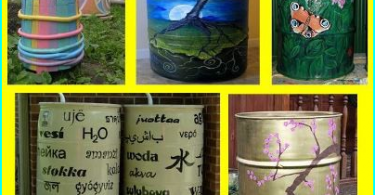 The well is convenient because it is a greatalternative to piped water supply, a water source in the area solves problems with irrigation and the use of life-giving water for household needs. But to carry out maintenance work from time to time need to bore was clean and the system is working properly, so many owners of country houses are thinking how to clean their hands well, without spending a lot of money. If the water pressure has become weaker, this is the first alarm. This was usually followed by a brief stalemate with the characteristic gurgle and subsequent release of turbid water, and then the system stops working. Cleaning your hands well begins withdetermine the cause of failure. The reasons for this can be many: the problems often arise in irregular operation, Error during drilling and construction. Water-bearing veins can change their direction - in this case, the cause is natural. If facilities do not have the protective mechanisms, at the mouth of the well will get a lot more garbage. The reason may be a lack of maintenance and poor performance of the pump. There are two main types of wells (with a filter and a straight trunk) and three basic ways to organize work well: wash it, or blow pump. Clean water intake with a straight trunk is more convenient - equipment can be lowered to the bottom, thus eliminating the risk of rapid siltation. But if the irregular operation of any well, sooner or later clogged. The most affordable way to clean the villa independent wells from sand and mud is pumped. If you have a regular or a special pump,which is used for contaminated water can be pumped out and the mixture of mud and sand, and debris with small stones. At the bottom of the well pump is installed, and all the debris deposited on the bottom of the falls into the pipe and drawn into the pump. A pump from time to time need to pass and clean water. If the cabinet gets very hot, it means that the equipment should be given a break. 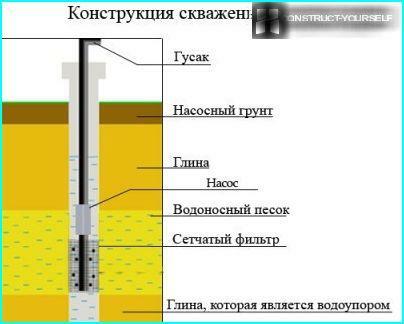 Clean well the standard vibration pump type "Baby" can be, if it is shallow - the pump will fall to a maximum of 40 meters. If the well is obstructed only slightly, whileitself is shallow, you can use the bailer. In other cases, its application will be ineffective. If the depth is in the range of 30m and more, and you need a winch, and a method of cleaning will require considerable efforts from the two strong men. Bailer - length of pipe on a cable with a grid intop and bottom opening. It sinks to the bottom, then rises to a height of 0.5m and sharply lowered. Recruited inside the water inside the cylinder is a metal ball which rises a couple of seconds, and then lowered and closes the opening. 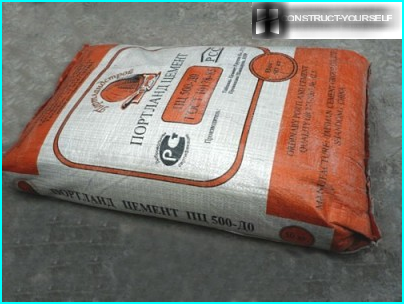 Such a raising-lowering cycle is repeated three or four times, then the bailer is raised and cleaned of sand. For the best experience, you can use a tripod. Over time in the cylinder falls about 0.5 kg of sand, so that cleaning engaging manner, can determine how quickly clogged hole. Bailer with ball valve can be made by yourself or buy a ready in the store. The most effective way for deep wells is mechanized cleaning. The best option - the use of two pumps operating in pairs. Deep fitted bottom gidrozaboroma pump located at the well bottom. He picks up the water with mud and silt. Pump working with him in pairs, supplies water for stirring deposits from the tank under pressure. To be truly effective cleaning, for water drainage hose should be shaken and ensure that the amount of pollution was not too large, if their concentration in the water is very high, it may cause overheating and even damage the equipment. The equipment must also select the correct choice depends on the depth at which the water is. Vibronasosy used if the depth of water table - more than 10 meters. Clean the hole can cause a fire engine. Using a fire hose and the pressure under intense pressure, it can be cleaned well for ten minutes. But this method is expensive and dangerous, from the strong pressure may damage the filters and system components. This method is recommended for heavily soiled. 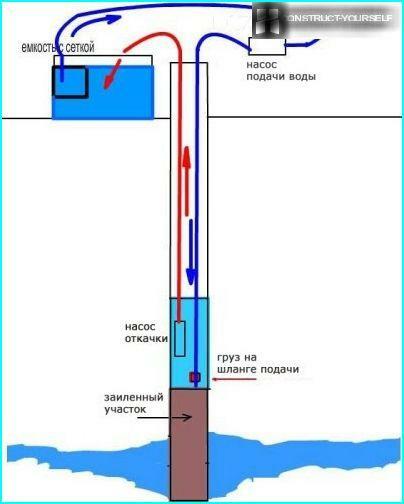 How to clean the well in the country of sand and sludgevia airlift? The method is to use the law of Archimedes. What in fact is the well? It is a container of water. It pump string is placed in the lower part by means of which the air compressor is supplied with compressed air. In the tube, a mixture of air and foam. 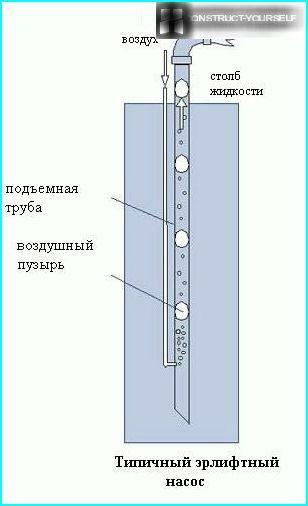 Water column presses on the bottom pump string - the process starts, it is necessary to control the water in the well cleaned ends. 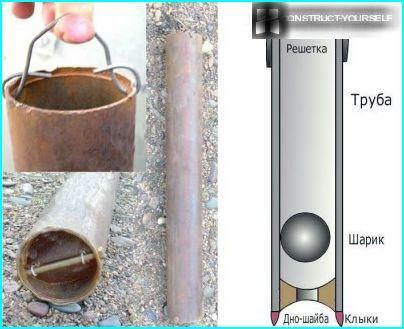 Since the bottom of the pipe is nearly the sand, sand and water rises absorbed pump string. The task of man engaged in cleaning - to monitor the water level in the well. Typically, wells in shallow areas, andsuitable for cleaning standard vibronasos or bailer. If the depth of the hole is large, you can try the method of mechanized cleaning. When using a fire engine hose cleaning the well will be very fast, but it is worth it is expensive. Unfortunately, this method often leads to damage, which entails additional costs. If the main source of water in your country - well, choose a convenient way for you to clean and clean it periodically to disruptions in the supply of water was not, because the water in the country - the main condition for a comfortable stay.